I’m sure there are millions of websites online so finding ones that sell cruelty-free products can seem like the proverbial needle in a haystack. Well, no more mama…I’ve got you covered! Here are some of the websites that I have found that offer cruelty-free, organic, and vegan products. Since I live in Germany I only deal with companies that ship internationally or are in the EU. So those are the only websites that will be on this list. Disclosure: This post contains affiliate links which means I may earn a commission if you use them at no additional cost to you. Here is my full disclosure statement. Who the heck doesn’t love Amazon right! I’m mean you can find just about anything and they deliver right to your doorstep. They have a variety of products with many different international certifications. All of their products are cruelty-free….but some of their brands do use carmine. 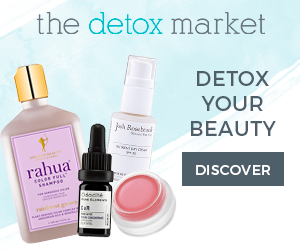 Check out my Detox Market Shopping Guide for their full line of brands. They have a plethora of goodies to have you looking your mama best. Iherb is the only company that I’ve found so far that will deliver my favorite toothpaste, Tom’s of Maine, to Germany! So, of course, they must be on this list. Any category you choose will have this option on the left-hand side to make your cruelty-free shopping easy peasy! They ship to over 150 countries around the world and give you additional information about customs duties and fees on their website. Oh, my….I love me some Sephora. I could spend a wonderful, kiddo free, afternoon shopping there. Luckily, they have stores all over the world! It’s my favorite place to go for makeup and skincare products. If you go to sephora.com then they ship to the US, Germany, Japan, Netherlands, Norway, South Korea, and the United Kingdom. However, they have international websites that you can shop from as well. Go here to check out Sephora’s international websites. Ok, mama! I’ve given you some fabulous places for your cruelty-free shopping needs. I will be adding to this list as I discover new websites that have cruelty-free products for moms like us!